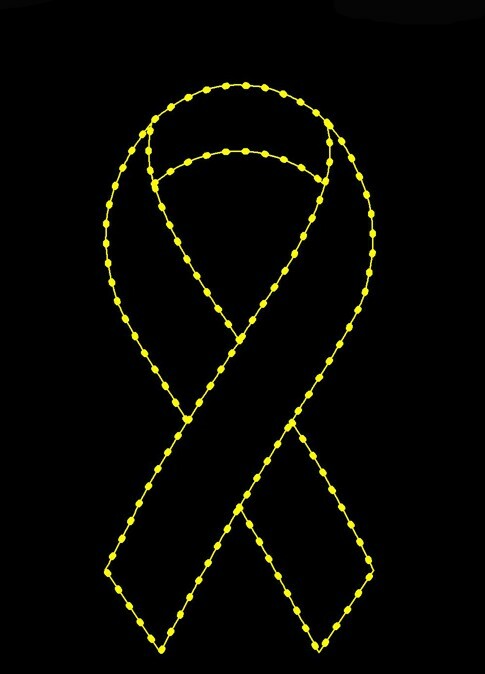 ALSO AVAILABLE 8' SILHOUETTE YELLOW RIBBON WITH 188 C-7 INCANDESCENT LAMPS @ 590 WATTS & 40 LBS. 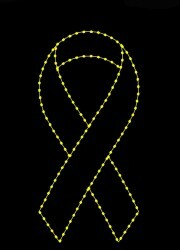 ALSO AVAILABLE 10' SILHOUETTE YELLOW RIBBON WITH 147 C-7 INCANDESCENT LAMPS @ 735 WATTS & 55 LBS. AVAILABLE IN YOUR CHOICE OF LAMP COLOR.